antiques | Interior Images Ltd. The Industrial Revolution had its pros and cons, but one quite interesting result was the factory in Coventry, England. There the inventor/artist Thomas Stevens had it in his power to produce ‘silk pictures’ on a large scale. They were a conventional size, quite pretty, and the choice of content appealed to the sporting blood of the English. The back of each little item is just as interesting as the front! One can see, for instance, that Thomas Stevens earned 10 prize medals and diplomas. 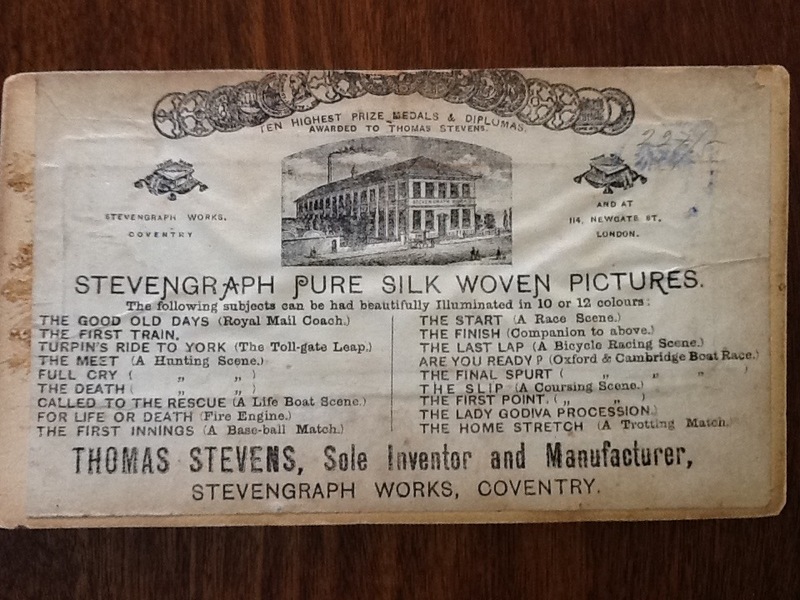 There is a charming small lithograph of the famous Stevengraph Works factory in Coventry and a descriptive list of the different silk pictures in the collection. 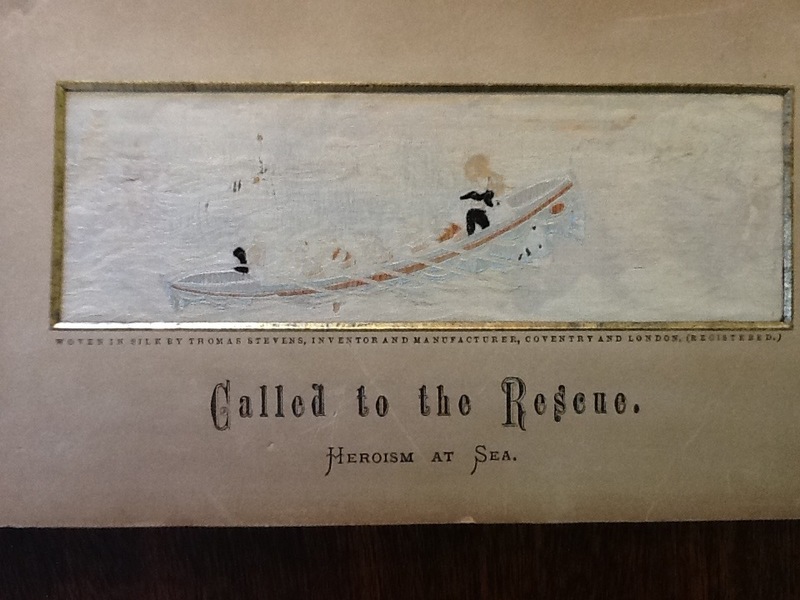 Also, a stamp here, a pencil mark there, hinting at the story of the various places these matted pictures have been. These silk pictures do show there age, but one may say – the show their history, too. 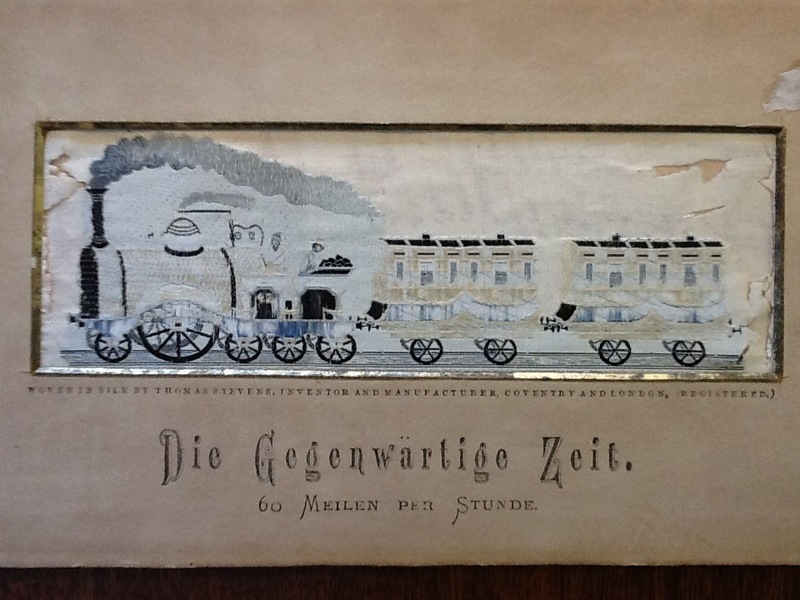 As they have their original matting and backing, they can be displayed in a variety of ways. 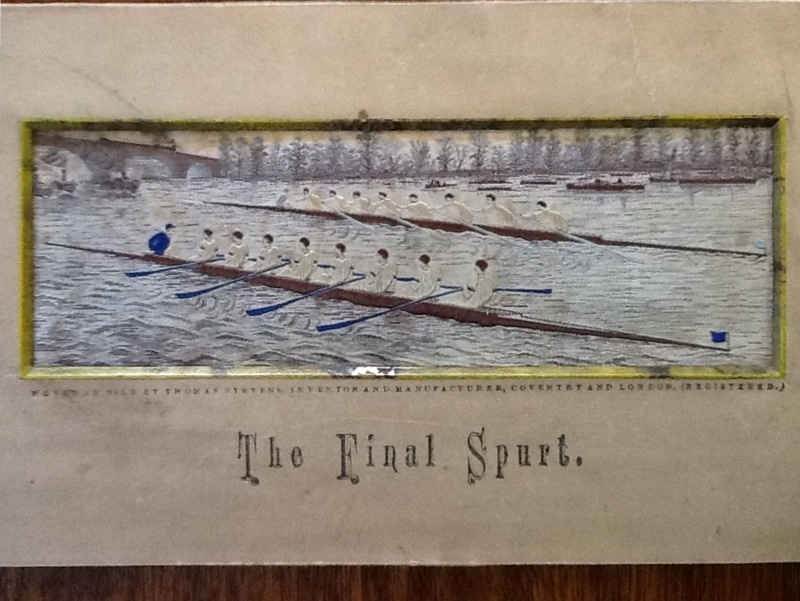 They could be placed in individual frames, set in one large multi-display frame, or artfully laid in a curio cabinet. Or maybe one of those double glass ‘diploma’ frames to display both front and back with ease. Interested? Please get in touch with us. 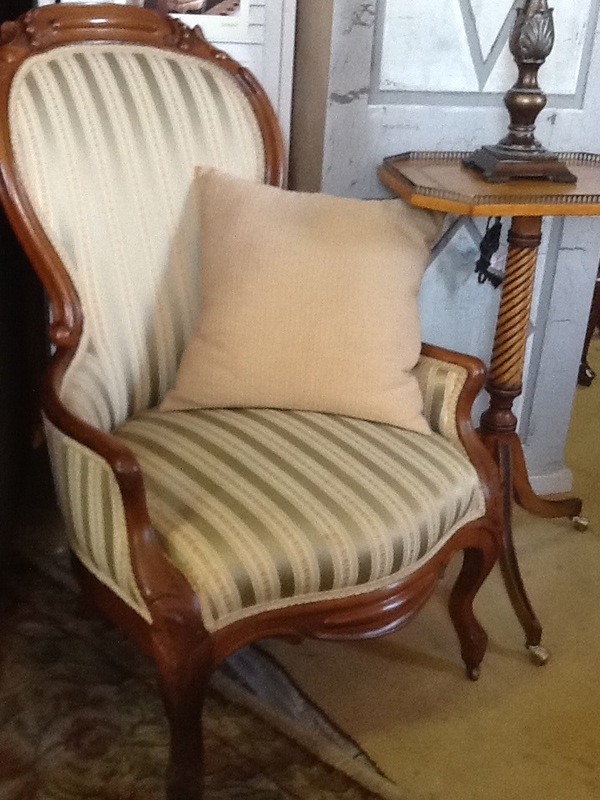 This finely made antique armchair is a true find. The arms and head of the back of the chair are of subtly carved wood. The front feet have casters (for easy moving about the room) and the back do not (so you don’t slide around when you get there). There are a few minor stains on the seat, otherwise the beautiful striped fabric is in excellent condition. This chair for all seasons is quite a bargain at $475!